I have been having a lot of fun lately reading the annotated version of the Big Sleep by Raymond Chandler. The text of the novel appears on the left side of the book while the notes are on the right. This book was annotated and edited by Owen Hill, Pamela Jackson, and Anthony Dean Rizzuto. Much of the material in this review is gleaned from their notes. Raymond Chandler wrote, as Ross Macdonald said, like a slumming angel. His private eye, Philip Marlowe, was portrayed as a knight errant, searching for adventures and rescuing damsels in distress. He embodied the chivalric code. The Big Sleep, like all of Chandler’s novels and short stories, is of the hard boiled, pulp fiction, detective story genre. But Chandler was a cut above the rest. Heavily influenced by Dashiell Hammett and Ernest Hemingway, he improved upon a category of fiction that was mostly known for its lurid and salacious subject matter. Another reason I like this book is that it gives the history of Los Angeles during and around the time period (1930s) of the novel. It also goes to great lengths to explain Americanisms, colloquialisms, slang, and genre jargon. The Big Sleep, while a great read and a ripping good story, has a complicated plot. In this version the editors give us some guidance into Raymond Chandler’s intricate and labyrinthine novel. I quote liberally from the novel as Chandler’s writing style is the best part of his work and the most entertaining. His use of hyperbole and exaggeration is a real gas. Also, I will be dropping some interesting asides about LA. Marlowe: I didn’t mean to be. Carmen: That’s a funny name. Are you a prize fighter? Marlowe: Not exactly. I’m a sleuth. Chandler considered it his duty as a writer to affirm life and liveliness against the deadly and the dull. A sentiment I have always lived by myself. She put a thumb up and bit it. It was a curiously shaped thumb, thin and narrow, like an extra finger, with no curve in the first joint. She bit it and sucked it slowly turning it around I her mouth like a baby with a comforter. Chandler used blackmail in fourteen of his short stories and five of his novels. Blackmail was very common in LA in the 20s and 30s. As headlines show: “GIRL TRIES BLACKMAIL! CAUGHT IN POLICE TRAP!” “FUGITIVE SEIZED IN EXTORTION CASE.” “FANTASTIC PLOT AGAINST POLA NEGRI BARED” “EXTORTION PLOT SUSPECT TAKEN: STANDARD OIL MILLIONAIRE’S EX-CHAUFFEUR ACCUSED.” W. Sherman Burns, head of the Burns Detective Agency, said in 1922, “Blackmail is the big crime in America today. The 1939 WPA (Works Progress Administration) Guide calls Los Angeles the fifth largest Mexican City in the world. There seems to be a connection between French Existentialist writers and hard-boiled fiction writers like James Cain, Dashiell Hammett, and Raymond chandler. Albert Camus may have been influenced by the private investigators appearing in American detective novels like Philip Marlowe, as his portrayal of the quintessential alienated outsider Meursault in his own novel, The Stranger, clearly shows. Marlowe is not an outlaw, but he does live by his own code, and he sometimes breaks the law by so doing. Jean-Paul Sartre says in Being and Nothingness: “Man can will nothing unless he has first understood that he must count on none but himself; that he alone, abandoned on earth in the midst of his infinite responsibilities, without help, with no other aim than to the one he forges for himself on this earth.” Marlowe understands this and accepts the challenge. The general spoke again, slowly, using his strength carefully as an out of work showgirl uses her last pair of good stockings. The next morning was bright, clear, and sunny. I woke up with a motorman’s glove in my mouth, drank two cups of coffee and went through the morning papers. “Well, how’s the boy?” He sounded like a man who had slept well and didn’t owe too much money. Marlowe: You’ve got a touch of class, but I don’t know how far you can go. Vivian: A lot depends on who is in the saddle. The giggle got louder and ran around the corners of the room like rats behind the wainscoting. She started to get hysterical. I slid off the desk and stepped up close to her and gave her a smack on the side of the face. The giggles stopped dead, but she didn’t mind the slap any more than last night. Probably all her boyfriends got around to slapping her sooner or later. The muzzle of the Luger looked like the mouth of the Second Street Tunnel, but I didn’t move. Not being bullet proof is an idea I had to get used to. I made myself a drink and was drinking it when the phone rang. Listen hard and you will hear my teeth chattering. I was thinking of going out to lunch and that life was pretty flat and that it would probably be just as flat if I took a drink and that taking a drink all alone at that time of day wouldn’t be any fun anyway. I was thinking this when Norris called up. I was catching up on my foot dangling. I got out of my office bottle and let my self-respect ride its own race. …even if they didn’t strap him in a chair over a bucket of acid. A smell of kelp came in off the water and lay on the fog. I braked the car against the curb and switched the headlights off and sat with my hands on the wheel. Under the thinning fog, the surf curled and creamed, almost without a sound, like a thought trying to form itself on the edge of consciousness. Her eyelids were flickering rapidly. Like a moth’s wings. “Killer,” she said softly her breath going into my mouth. She took her right hand from behind her head and started sucking her thumb. I didn’t have anything really exciting to drink, like nitroglycerin or distilled tiger’s breath. She’s a grifter, shamus. I’m a grifter. We’re all grifters. So, we sell each other out for a nickel. Okay. See you can make me. Canino driving fast through the rain to another appointment with death. …bare as hell’s back yard. Fate stage managed the whole thing. He looked a lot more like a dead man than most dead men looked. You were sleeping the big sleep. On the way downtown I stopped at a bar and had a couple of double scotches. They didn’t do me any good. All they did was make me think of Silver-Wig, and I never saw her again. My step daughter Kim visited me recently. As is our wont to do we had a literary discussion about books and what books influenced us and why. Of course we talked about Hemingway and Camus. But then we landed on Kafka. What, she wanted to know, made me like Kafka so much? Well, that gave me pause. I allude to Kafka a lot in my writing and in my conversations with people but is has been awhile since I last read his works. The best I could come up with was that I identified with his sense of alienation and absurdity and the bureaucratic nightmare that modern man seems to live under as depicted in his works. I got to thinking. Why else? Well, it had been about 40 years since I last read Metamorphosis, so I decided I would reread it. I had it in my library. It was the original copy that I had read in the 1970’s. But the book wasn’t in very good condition. The pages had yellowed, there was mold or something growing on the frontispiece, and the spine was cracked and coming apart in the middle. I decided I needed another copy. So, I did what any respectable book buyer might do, I went on line. I found a book and ordered it. Not wanting to wait the two days for its arrival I decide to download a copy to my Kindle so that I could start reading right away. Now, I remember the first time I read The Metamorphosis, as I say, some 40 odd years ago. I had taken the book along with me on a visit to the emergency room. I had just crashed my motorcycle and broken my leg. The attending physician looked at the book I was reading as I was waiting to be examined. He looked at the book, then looked at me, and then looked at the book again. “Pretty heavy reading isn’t it?” He asked. Well that may give you an example of the absurdity of my existence up to that point right there. As I remembered in the book, Gregor Samsa woke up one morning to discover he had been transformed into a gigantic bug. As I remembered it was a cockroach. I had already been disabused of that notion long ago and realized it was a beetle. Now when I stated reading my kindle edition it said “vermin.” Well that wasn’t good enough for me. I needed to see “beetle.” So, I decided I’d wait for the actual book to arrive. It came and I started in to reading it. I came to the fateful passage and it read “verminous bug.” Still not good enough! But I read on. This could go on forever, I thought. I guess there was something lost in translation or in my memory. Speak memory! Later on in the book there was a passage that referred to Gregor as a “dung beetle.” Now, feeling gloriously vindicated, I read the rest of the story in a condition of sublime justification. Now that I have reread the story I feel that I can speak definitively as to what the book says to me. The story reflects thematically on feelings of alienation, anxiety, and guilt, which pretty well sums up man’s absurd relationship to the world in which he lives and one I have very much identified with ever since I can remember. The story operates in a random, chaotic, and absurd universe, as do we all. Do things happen for a reason or do they befall us purely by chance? That is the question Kafka seems to be exploring in this surrealistic story of transformation. Another thing I like about Kafka is his take on the kinds of books to read and by extension the kinds of books to write. I also believe this can be applied to other types of art as well. I loved this book. Wish I could write like Joan Didion. Blue Nights strikes a different tone than A Year of Magical Thinking but nonetheless it is a stunning read. It is a memory book and a book of loss. The loss of her child Quintana Roo. The loss of her husband John Gregory Dunne, and her own loss. Her perceived loss of her faculties and physical agency. She laments her frailty and the oncoming shocks that flesh is heir to. Although I must say she is in quite good form here. The God of Small Things is a novel written by Indian activist and writer Arundhati Roy. She has been on my radar for many years now, ever since I started watching her on panel shows on TV. I was impressed by her brilliance as a speaker and thinker on issues that I care deeply about such as inequality, social justice, and the environment. And I have always been fascinated by the Indian subcontinent. When I learned she had written a novel I went out and purchased it right away. Sad to say it sat on my bookshelves for a few years before I got around to reading it. I am one of those “too many books, too little time” people. What prompted me to go ahead and read the novel was the fact that 17 yeas after the publication of The God of Small Things, Arundhati Roy wrote and published another novel, her second, The Ministry of Utmost Happiness. I was very excited abut this and went out and purchased it also. I am now in the middle of that wonderful book. But, I get ahead of myself. In the intervening 17 years between novels Miss Roy has written several other books. Works of nonfiction that reflect her other intellectual pursuits and human rights activism. These books include: Capitalism, A Ghost Story; Walking With the Comrades; Kashmir, The Case for Freedom; and Listening to the Grass Hoppers: Field Notes on Democracy. She was awarded the Man Booker Prize in 1997 for Literature. The God of Small Things is by far the best book I have read all year and I have only praise for it. Miss Roy is a master stylist and her prose reads like poetry. Her book is full of vivid imagery, symbolism, and metaphors. It is constructed like a sublime piece of architecture with each piece fitting into place like a jig saw puzzle. The book is a bit of a challenge to read as it does not flow in a straight linear progression. Rather, it jumps around in time in flash backs and flash forwards. But stick with it, it is well worth the ride. The novel is a story of an Indian family writ large on a grand scale. Some have compared Roy to Faulkner, but I think she comes closer to Gabriel Garcia Marqeuz. There is forbidden love, family drama, political unrest, and magical realism. Estha and Rahel are seven year old fraternal twins, boy and girl, growing up in a small southern Indian town. They live with their mother Ammu and the rest of their extended family. Their uncle Chacko runs the family pickle factory. One fateful day their cousin Sophie Mol from England is invited to spend the Christmas holidays with them. Tragedy ensues and Sophie Mol is drowned in a boating accident. In telling the story, Roy incorporates other larger issues taking place in India at the time, such as issues of cast, class, and political unrest. This was said to seven year old Rahel when she apparently said something carelessly which hurt her mother, which is something seven-year olds sometimes do. When Ammu said this to Rahel, “…a cold moth with unusually dense dorsal tufts landed lightly on Rahel’s heart. Where its icy legs touched her, she got goose bumps on her careless heart. A little less her Ammu loved her.” This passage haunted me for the rest of the novel and it haunts me still. This is a novel of life, love, fear, death, pain, and loss. It is wonderfully written and I highly recommend. The game of Go has long intrigued me. I learned how to play years ago from a wizard who lived down the stairs. We wiled away the hours playing the game of Go. I moved away and never played again until recently. I took it up once again and discovered it had never really left me. I became reacquainted with Go because of a novel written by a young Chinese girl that sparked my interest all over again. When The Girl Who Played Go first came out in 2003, I read a review about the book that was intriguing. I vowed to keep an eye out for it. In those days one didn’t just automatically add a book to one’s Amazon Wish list. One liked to find books the old fashioned way, serendipity. One liked to stumble across them by accident in some far flung and obscure bookstore in the Midwest, or northeast, or wherever. Years went by and I never saw the object of my desire. By then it was locked away in the recesses of my memory and I was no longer consciously looking for it at all. Then one day in, 2007, in a crowded book store in Philadelphia, I ran across a book entitled, The Master of Go. To my imperfect memory I thought this must be the book I had long sought. I picked it up, took it home and put in a shelf where it languished a few more years. When I finally got around to reading it, I thought, this is strange. This doesn’t seem like the book I had read about all those years ago. This book, written by Yasunari Kawabata, was about a modern day Go player, in Japan. While I enjoyed the book very much, it was a realistic depiction of an elderly gentleman who was a Go master and the rigors of tournament play in Japan. I read the book and put it away and started a new book and didn’t give the Master of Go another thought; until the year 2012. I ran across another book on Go in Louisville, Kentucky at the Half Price Book store where I am wont to go. It was entitled, The Girl Who Played Go. Eureka! Sweet mystery of life, finally I found you! The Girl Who Played Go, written by Shan Sa, was my long sought after book. I immediately purchased the book and took it home and began reading. Friends it was worth the wait. Go is a territorial contest. In Chinese the game is called, Wei Qi, which means, “surrounding game.” Go has roots in both China and Japan. Most Westerners are unfamiliar with the game of Go. It has simpler rules than chess but is far more subtle and takes longer to master. It is a game that is not structured around the theme of a small battle, like chess. Rather, it is more like a large scale war. In Go, every piece is identical: an ivory or ebony stone is played on a square grid by the contestants. Each piece has the power to turn the tide of a war. Go is powerful metaphor for the story told by Shan Sa in her novel, The Girl Who Played Go. The Girl who Played Go is a wonderfully written novel set within the framework of the game of Go. It takes place in a small city in Japanese-occupied Manchuria in 1936. An unnamed Japanese soldier has been sent with his battalion to seek out the Chinese resistance movement within the region. Simultaneously, a bored Chinese schoolgirl finds solace obsessively playing Go in the local square eponymously name The Square of a Thousand Winds. In an attempt to infiltrate the enemy, the Japanese soldier joins the city’s Go players, and falls into a game and into love with the girl who played Go. The story of the soldier and the girl are told in alternating, short, chapters. Dramatic events in the lives of the protagonists are repeatedly brought together and interwoven. The game of Go is a metaphor for the Japanese invasion of Manchuria and the resistance one young girl is able to mount by remaining undefeated at the game. Manchuria has been occupied by the Japanese for several years as the story opens, but there is an active insurgency movement. The girl, however, lives a relatively sheltered life. She is quickly maturing, and becomes sexually active during the unfolding events. The game of go symbolizes the play between man and woman, as well as the conflict between China and Japan. Shan Sa has an extraordinary background. She was born in Beijing, started writing at seven and enjoyed success as a teenage poet. At 18 she moved to Paris to study philosophy. She worked for a time with the artist Balthus. Writing in French, she won a Goncourt with her first novel. Her novel, The Four Lives of the Willow won the Prix Caze. 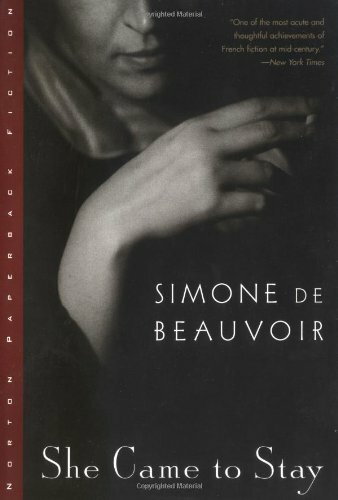 In 2001, she was again awarded the Prix Goncourt des Lycéens for her novel, The Girl Who Played Go. Her works have been published in 30 languages worldwide. Since 2001, Shan Sa has continued to write literature and paint. Her works have been shown in Paris and New York, and Japan. In 2009, Shan Sa was awarded by the French Cultural Ministry, Knight of Order of Arts and Letters. In 2011, she was awarded by the French President, The Knight of National Order of Merit. We’ve lost our way, what shall we do? This way and that around the fields. Demons, by Fyodor Dostoevsky, is 700 page pamphlet detailing the rise of the Russian proletariat and presaging the revolution of 1917. It’s about nihilism, anarchy, and atheism. It is a complicated novel detailing Russian society as it descends into chaos, anarchy, and madness. The demons referred to are actually ideas, emanating from the west, that infect the characters minds and causes them to take extreme actions such as suicide, murder and arson. The action takes place in a fictitious small town in provincial Russia but is based on a true story that Dostoevsky took from the newspapers. Pesky Dostoevsky. Every time I say I am not going to read another 700 page book I get pulled back in! I say pamphlet because that is how it is described in the critical literature. Only thing is, last time I checked, there are not that many 700 page pamphlets lying around. A few manifestos, no pamphlets. The book title was originally translated as, The Possessed. This is not the title Dostoevsky originally had in mind. The Russian title, Besy, does not refer to the possessed but rather to the possessors. Therefore the new title, Demons, refers to some of the characters in the book (from the foreword by Richard Pevar) and is more in line with Dostoevsky’s thinking. All the characters have three names and each name has three syllables and each time a character is mentioned or introduced all three names are used except when they aren’t and then they are referred to by their nick names or their shortened names which we the reader have not been given fair warning and have absolutely no idea who the author is referring to. I had to take to underlining each character’s name each time they made an appearance and by page 500 or so I finally figured out who was who. I must say, the last 200 pages were page turners and my eyes were so glued to each page I couldn’t look away. The novel had to be good or I would not have stuck with it to the end. I did and I am glad I did. There is a missing chapter in the book which was censored by the Russian authorities when it was first published due to it’s salacious nature. I almost didn’t read it as it was included in the appendix and I didn’t realize how important it was. It is absolutely key to understanding the central character Stavrogin. It is called at At Tikhon’s and in it Stavrogin confesses to a horrible crime. One of the most important takeaways from the novel for me were the revolutionary ideas of the intellectual of the revolutionary group, Shigalyev: “My conclusion stands in direct contradiction to the idea from which I started. Proceeding from unlimited freedom, I end with unlimited despotism. Ninety percent of society is to be enslaved to the remaining ten percent. Equality of the herd is to be enforced by police state tactics, state terrorism, and destruction of intellectual, artistic, and cultural life. It is estimated that about a hundred million people will be needed to be killed on the way to the goal.” This is oddly prophetic of what actually occurred in Russia under the dictatorship of Joseph Stalin. I see strains of some of these ideas in modern day writers such as George Orwell who admonished us that if we want you want a vision of the future, imagine a boot stamping on a human face – forever. These currents have resurfaced again today in American politics and it is pretty frightening. Like Camus, I can say that this novel has enriched and shaped me. Ernest Hemingways’s novel, Islands in the Stream, published posthumously, is the perfect counterpoint to his novel, For Whom the Bell Tolls, which was of course published during his lifetime. Hemingway takes his title, For Whom the Bell Tolls, from the poem of the same name by John Donne. The first line reads, “No man is an island entire of itself, every man is a piece of the continent a part of the main.”In both novels the protagonists die fighting for a cause larger than themselves that each believed in and that each felt he had a duty to fulfill. This is the Hemingway code of action that has lived with me so many years, ever since the first short story I read by him many years ago, The Short Happy Life of Francis Macomber. Hemingway comes full circle with this novel. From no man is a island to every many is an island. An island in a stream. In the first case Robert Jordan is fighting fascism in Spain during the Spanish Civil War . In the other, Thomas Hudson is fighting fascism in Cuba during WWII. A German submarine has been damaged and the crew has come ashore and massacred a village of Indians and commandeered their turtle boat. The German crew are hiding out in the mangroves on the Cuban island. It is the duty of Thomas Hudson and his crew to hunt them down. This brilliantly written action sequence takes place in act three of the novel. The novel is divided into three sections but the reads like three acts in a play. The first section is entitled Bimini. Here we are introduced to the isolated main character Thomas Hudson who is a painter and lives in a house on the island of Bimini which is part of the Bahamas. It is summer and his three children, two by one wife and one by his first wife, come to visit him for the summer. This is the happiest section of the book as the happy family interact and reminiscence with one another and go deep sea fishing together. After the children leave, Hudson learns of a tragic car accident that has taken the lives of his two youngest children and their mother. This section ends with Hudson on a boat trip to Europe to attend their funeral. The tragic accident had a profound impact on Hudson driving him deeper and deeper into himself. The next section of the book is entitled, Cuba. Most of the action in this section takes place in a bar in Havana called the Floridita. Hudson is knocking back frozen Margaritas (without sugar) and talking to a variety of motley characters who inhabit this world including an aging prostitute called Honest Lil. The conversations are often hilarious and the characters are well drawn and fascinating. Lil asks Hudson when was his happiest day? Hudson replies: “The happiest day I ever had was any when I woke in the morning when I was a boy and I did not have to go to school or work.” In this section Hudson learns of the death of his eldest son who was killed in action while flying over Germany. This was just about the last straw that does him in and he retreats further into himself. He soon receives his orders and goes once more back out to sea. He traded in his remorse for another horse that he was riding now. In this last section called, At Sea, Thomas Hudson does is duty. He is in pursuit of a German submarine crew whose submarine has been destroyed. They are hiding out in the mangroves of a Cuban island. The writing in this section is some of the best action writing I have ever read. At the climax there is a showdown between Hudson’s crew and the German crew. Hudson’s crew wins but Hudson gets shot it the process. As his ship cruises back to home port he realizes he is going to die. He thinks about sorrow. If it is cured by anything other than death, chances are that it was not true sorrow.